A Professional Wetland Scientist (PWS) and Restoration Ecologist, Bill Lattrell has managed projects involving wildlife habitat, wetland restoration, wetlands mapping, large natural environments restoration,public education, and is trained in climate change vulnerability assessment. He joined Conway as adjunct faculty in 1990, teaching classes in wetlands identification and regulation, wildlife habitat, and leading field trips to a variety of ecosystems, including bogs, beaver ponds, old growth forests, vernal pools, and successional meadows. 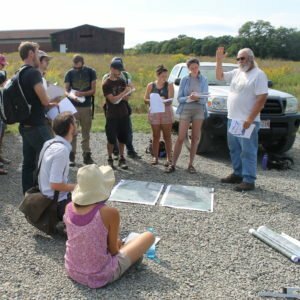 Bill’s broad applied knowledge of natural resource issues helps students evaluate environmental assets and anticipate potential repercussions on the ecosystems of residential and community sites. He is the principal of Lattrell Ecological Consulting in Heath, MA. A part-time member of the faculty, Bill leads many of the weekly field work sessions, and twice each term consults with students about their projects in the studio.